Hello lovelies! 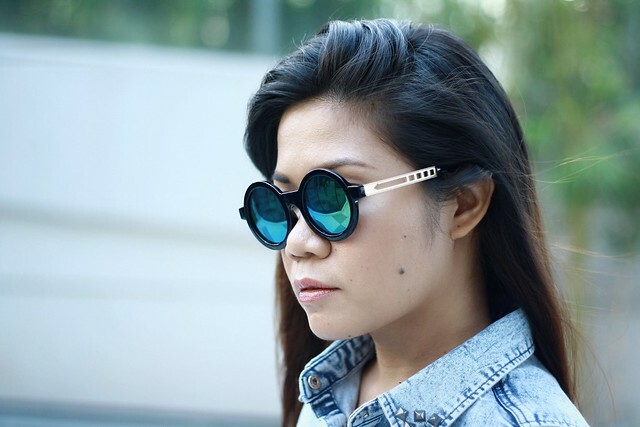 If you're following me on Instagram (follow me here), you probably know that today's outfit post is what I wore to the POWERMAC SYNC Sessions featuring The Zombettes last Saturday. This denim vest from GOBUU arrived right at my doorstep two days before the said sessions so it was a perfect timing. I opted for a preppy look. What do you think? I love this vest so much because you can't deny the quality is very good. It's soft though the material is obviously thick. If you don't know yet, I'm a sucker of anything denim. At first, I ordered a medium size of this denim vest but the day after, I realized I mistakenly read the size chart because according to it, I am large. I panicked because I chose an express delivery within 2-3 days so I immediately send a chat message to them though by that time, they were offline. After an hour, I received an email saying I need not to worry because they got my concern. Now that is customer service. 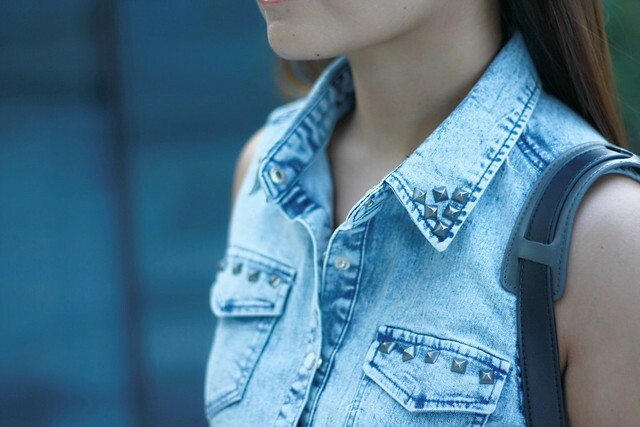 See the studs' detail? Oh I love anything pointy! Very nice look ! Love the sunglasses ! 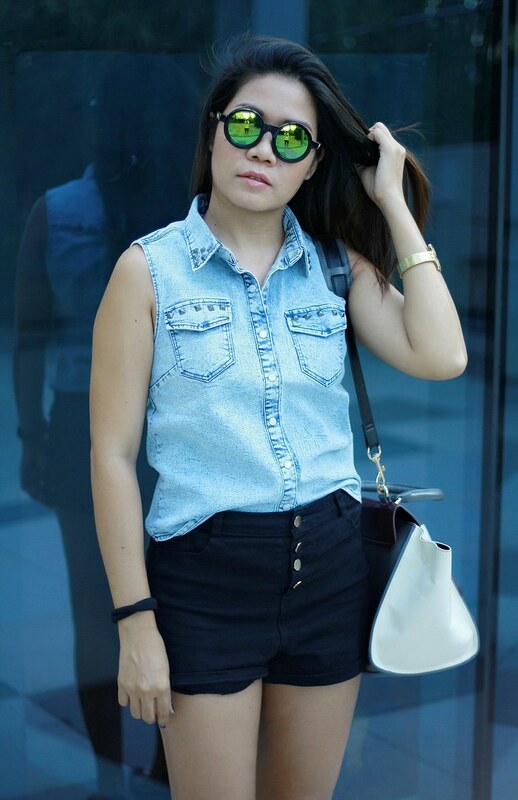 Totally love the way you matched that denim vest, Jenniya! The studs look so cute and edgy on it, and you look so chic with the button-up shorts! 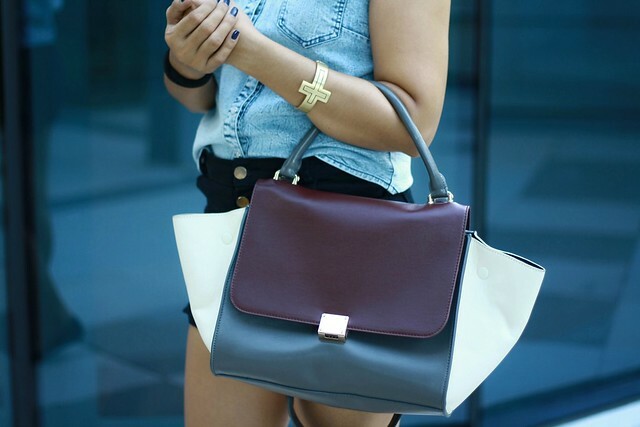 That bag is also super cute! Haha, checking measurements on an item is definitely super important, and something that I also tend to be lazy of doing, haha. Good customer service is super important to me when shopping on a website too! Absolutely love this outfit! I need a vest like this...oh and the purse is SO cute as well! Very chic and polished look. Chambray blouses are my favorite for summer! Hello! Nope, I didn't pay any custom taxes. My item is only one though and its approx $20. I think there's a certain amount of goods that will subject to tax.